Revolving in the 'rock room' and the focus of this edition of 'Take One' is the relatively unknown 1972 single released by Neil Young and Graham Nash featuring backing by the Stray Gators. 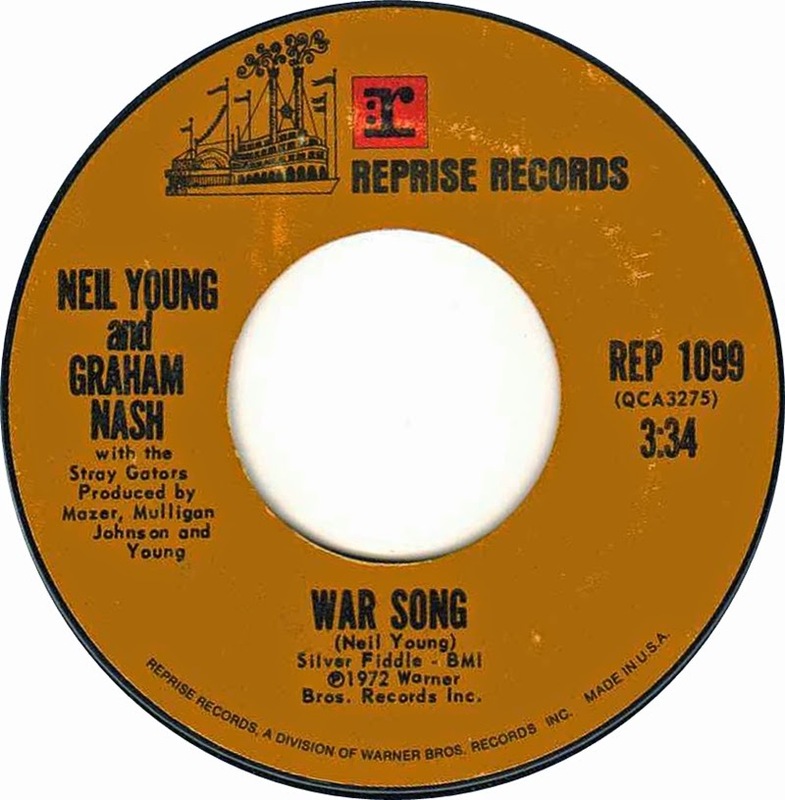 The 'War Song' was an attempt by Nash and Young to align themselves with George McGovern's 1972 presidential campaign and its valient attempt to unseat Richard Nixon. 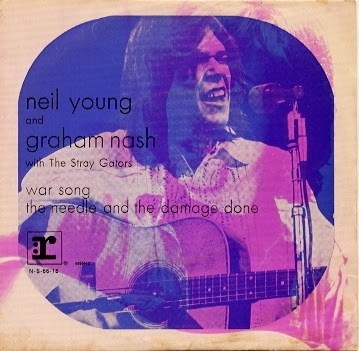 Never ones to shy away from voicing their political opinions, Young and Nash recorded the song at Broken Arrow Ranch in Spring of 1972, with the usual stellar backing group of musicians assisting. The track also has the distinction of being the only song penned together by Nash and Young. The 'Harvest' band made up of of Ben Keith (Pedal Steel), Kenny Buttrey (Drums), Tim Drummond (Bass) and Jack Nitzsche (Piano) lend the melodic detonation needed to begin the battle. For the longest time the track was only available on the original long out of print 1972 7' single. It was only in recent times that the song was included on the first volume of the erratically released Neil Young Archives Collection. While never a mainstream success the 'War Song' still caused a ruckus at the time and was in some cased banned on radio, illustrating Young and Nash's always uncompromising artist aesthetics. From the very beginning the track sounds like a true collaboration that has been stitched up the middle. The song opens with a distinctly vibrant set of Nash changes that are suddenly stunted by the foreboding red flashing red warning light of Young’s constant one note buzz saw drone. Drummond and Buttrey join in on a determined forward footed stomp that kicks into the vocals. Neil takes the lead vocal, his voice quivering alone, before being joined by Nash on the chorus and singing, There's a man, says he can, put an end to war' in glorious high cotton throats. A naive thought? Maybe, but an honest one stated earnestly through superior musicianship. Perhaps the collaboration with Nash on the track was based in Young’s insecurity at taking such a forward public stance alone. Nash would always come to the musical aide of any of his colleagues and for Young he was the perfect recruit for the mission. Both are very forward thinking politically. Lyrically, the song is a mixed bag, this is an honest 'rock room' appraisal when contrasted to Young's other forays into unabashed 'protest music'. He often can come across didactic unintentionally, even if the melody has attractive qualities. Instrumentally the song is a great success with a riff similar to the one that would pirouette on a central axis in Young's 'Last Dance’ found on 1973's Time Fades Away. Ben Keith over the chorus is stellar, his deliquescent steel, thick and sweet as the THC soaked honey slides Young used to procure on the nearest stove. Keith really is a highlight of this particular statement, usual practice for the legendary musician. Young then proceeds to blast some breathy and creaking harp blasts and for a moment this shady, Shakey single from the early 1970's sheds its political skin and soaks of the utopian sun of a hypothetical musical hope built of freedom and dreams. The song returns to a recitation of the chorus and then a restatement of the first verse with Nash's high harmonies complementing Young's vocals flawlessly. 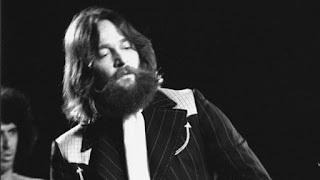 Their voices have always worked well together as evidenced by Nash (and Crosby) being invited by Young to join the 1973 Time Fades Away tour when he tore up his vocal chords during the performances. The conclusion of the tune illustrates that even with the heavy commentary, the song is still just a jam and its only rock and roll. Neck slides and rough hewn guitar stomping slam the lid on the tune, working out an improvised riff that ends much too soon. 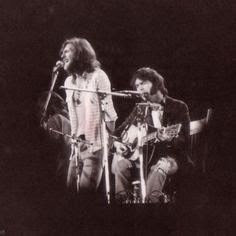 Neil Young and Graham Nash's 'War Song' single from 1972 is a perfect example of a lost track. The song appeared as a single, made a minimal of ripples and then dissipated into the pools of Young and Nash's substantial musical career outputs. Oddly enough, the single was backed on the flip with 'The Needle and the Damage Done' which would go on to become one of Young's most popular and recognizable tunes. While the 'War Song' may not be a mainstream classic, it remains an aggressive and fiery artistic statement on the political fervor of the 1970's as well as hailing from a peak period for all of the artists involved.